The Lord, who shortly before had foretold his death and resurrection (9:22), offers his disciples a foretaste of his glory. And even in the Transfiguration, as in baptism, we hear the voice of the Heavenly Father, "This is my Son, the Chosen One listen to him" (9:35). The presence of Moses and Elijah, representing the Law and the Prophets of the Old Covenant, it is highly significant: the whole history of the Alliance is focused on Him, the Christ, who accomplishes a new "exodus" (9:31) , not to the promised land as in the time of Moses, but to Heaven. Peter’s words: "Master, it is good that we are here" (9.33) represents the impossible attempt to stop this mystical experience. St Augustine says: "[Peter] . . . on the mountain . . . had Christ as the food of the soul. Why should he come down to return to the labours and pains, while up there he was full of feelings of holy love for God that inspired in him a holy conduct? "(Sermon 78.3). We can draw a very important lesson from meditating on this passage of the Gospel. First, the primacy of prayer, without which all the work of the apostolate and of charity is reduced to activism. 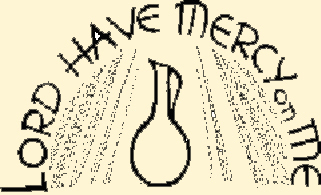 In Lent we learn to give proper time to prayer, both personal and communal, which gives breath to our spiritual life. In addition, to pray is not to isolate oneself from the world and its contradictions, as Peter wanted on Tabor, instead prayer leads us back to the path, to action. 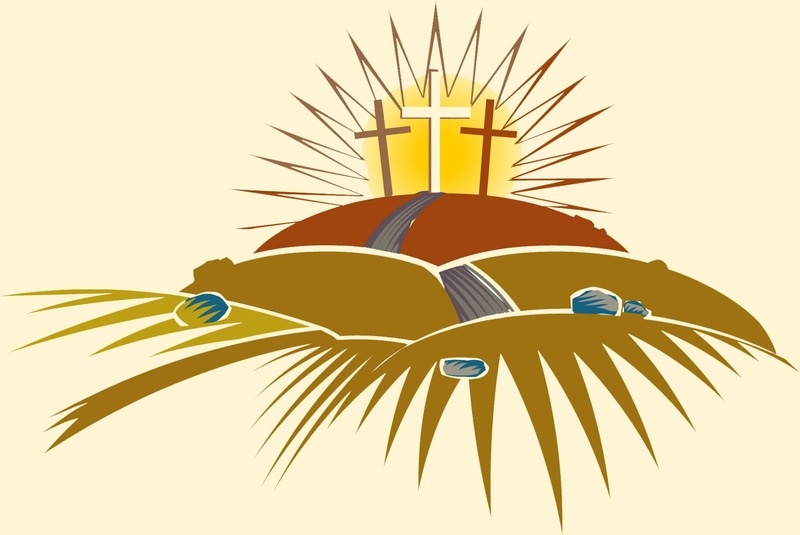 "The Christian life - I wrote in my Message for Lent - consists in continuously scaling the mountain to meet God and then coming back down, bearing the love and strength drawn from him, so as to serve our brothers and sisters with God’s own love "(n. 3). Dear brothers and sisters, I feel that this Word of God is particularly directed at me, at this point in my life. The Lord is calling me to "climb the mountain", to devote myself even more to prayer and meditation. But this does not mean abandoning the Church, indeed, if God is asking me to do this it is so that I can continue to serve the Church with the same dedication and the same love with which I have done thus far, but in a way that is better suited to my age and my strength. Let us invoke the intercession of the Virgin Mary: may she always help us all to follow the Lord Jesus in prayer and works of charity. I have always thought that Christians should strive to be “both/and” - rather than “either/or” - people as often as possible, resisting the temptation to define ourselves over and against others unless it is absolutely necessary to do so. And, of course, sometimes it is. The problem for people and communities who are ALWAYS “both/and” is that they end up believing everything and nothing at once, as we see with the Church’s theological liberals. But just as wrong are those who are ALWAYS “either/or”. They end up believing that the only truth is the little bit they have stumbled across. They become pathologically judgmental and sectarian. We sing the carol, “Love came down at Christmas.” Love is generous and kind; it is open to “the other.” Jesus personifies love. If we take together the things he said and the things he did as indicating his heart, it is clear that he was generous, kind and welcoming. He taught, he gathered people, he reached out across social and political boundaries in order to touch broken lives with his healing love. On the cross he absorbed our woundedness and the consequences of our sin so that we might be free. His judgment was reserved, not for ordinary people whose lives had become tangled, but for the extreme “either/or” people - often to be found running the religious establishment - who spent all their time judging others. Clearly, the Church - the entire Christian community - faces a huge credibility crisis at this moment in history, due partly to developments in secular society, and partly to the Church’s own lack of Christlikeness in a whole range of areas. All churches, unfortunately, are good at destroying people and crushing their spirits (and I mean churches of EVERY tradition!). The terrible sexual abuse scandals are only the tip of the iceberg. It is often the case that the most caring and pastoral clergy and lay people have a liberal and reductionist anti-supernatural view of Jesus, the Bible and the sacraments. 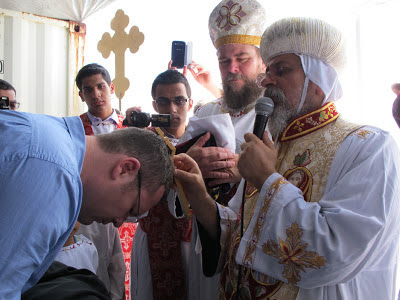 It is also often the case that the clergy and lay people who are most “orthodox” in their beliefs are bereft of loving care and pastoral instinct. I don’t know why this should be. A lot has been said over the last few years about “Anglican Patrimony”. I suppose that in some respects we might apply that phrase to the culture of our worship, and to our tradition of theological scholarship. To me, however, one of the most beautiful aspects of “Anglican Patrimony” is the way in which - certainly among Anglo-Catholics - rock-solid orthodoxy of belief, and loving, caring sacrificial pastoral instincts have co-existed without polarisation. 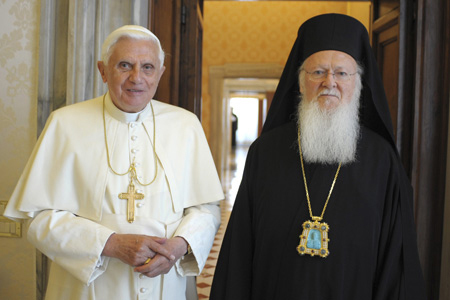 The Ecumenical Patriarch, Bartholomew, cooperated closely with Pope Benedict over the years, issuing joint statements on contemporary problems facing humanity and realizing official exchange visits, but above all resuming in 2007 the conversations of the Joint International Commission for Theological Dialogue between the Orthodox and Roman Catholic Churches (established in 1980 and interrupted in 2000). It is with regret that we have learned of the decision by His Holiness Pope Benedict to retire from his Throne, because with his wisdom and experience he could have provided much more to the Church and the world. Pope Benedict leaves an indelible mark on the life and history of the Roman Catholic Church, sealed not only by his brief papacy, but also by his broad and longstanding contribution as a theologian and hierarch of his Church, as well as his universally acknowledged prestige. His writings will long speak of his deep theological understanding, through his knowledge of the Fathers of the undivided Church, his familiarity with contemporary reality, and his keen interest in the problems of humankind. 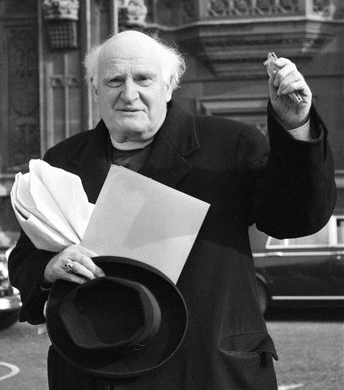 We Orthodox will always honour him as a friend of our Church and a faithful servant of the sacred proposition for the union of all. Moreover, we shall rejoice upon learning of his sound health and the productivity of his theological work. Personally, we remember with emotion his visit to the See of the Ecumenical Patriarchate over six years ago, together with the numerous encounters and excellent cooperation, which we enjoyed throughout the duration of his primatial ministry. From the Phanar, we pray that the Lord will manifest his worthy successor as the head of the sister Church of Rome, and that we may also continue with this successor on our common journey toward the unity of all unto the glory of God. 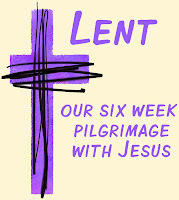 Today we begin a spiritual journey together called Lent. It is a pilgrimage that we will pursue for the next six weeks. It begins in ashes and penitence; it will end in alleluias and Easter joy. It begins with a somber reminder of our mortality; it will end with a joyous celebration of our immortality in Jesus Christ. Ash Wednesday reminds us of what we deserve in our sinfulness – judgment and death. Easter reminds us of God’s gracious gift to us in Jesus Christ – forgiveness and new life in Him. As with any journey, there is a certain amount of uncertainty about what lies ahead. None of us can know for certain what we must undergo in the weeks ahead – what temptations or tragedies we must endure, or what challenges and opportunities await us. Life is unpredictable and fragile. Sometimes the journey becomes dangerous and difficult in unexpected ways. 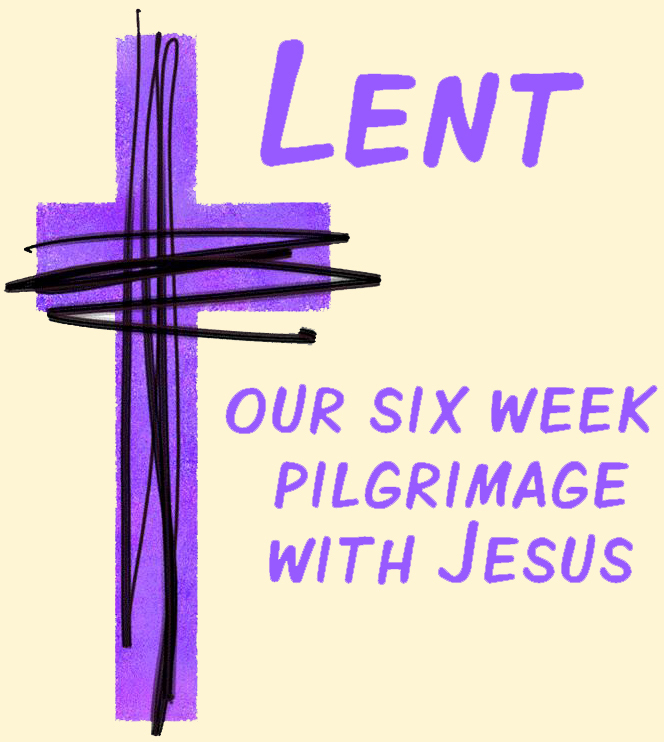 In our Christian pilgrimage, Lent reminds us that we must choose many times a day. Life involves continual decisions and choices, which determine which way we will go. We must make decisions every day about what we will do and about what we will not do. We must do the right thing, and we must avoid the wrong thing. The path we choose in the days ahead, in little things and in great things, will either lead us closer to God or more distant from Him. To strengthen and guide us in what lies ahead, the Church calls upon each of us to adopt a Lenten Rule of Life – a discipline we will live by for the next six weeks. It will help us keep a devout and holy Lent. It involves taking on certain specific things and giving up certain other things in order to strengthen our will power, to co-operate with God’s power. It is a choice to simplify our lives and to pursue such things on a day to day basis, which, in the end, will bring us closer to God and to His will for our lives. As with any journey, we will need food and drink to nourish and sustain us along the way. So a Lenten Rule may involve receiving Holy Communion more often than usual, perhaps coming to a weekday Communion service in addition to our Sunday worship. Surely we will want to read and study the Holy Scriptures more diligently than usual, feeding daily on God’s Word as our daily bread. Surely we will want to practice the three spiritual disciplines which Jesus himself practiced and commended to His disciples – fasting, prayer and almsgiving. All these things will help us and guide us in our Lenten journey. Lord, give us the gift of holy discipline this Lent, that by your grace, we may do those things we ought to do and avoid those things that are harmful to us and our relationship with you. Save us from all wrong choices, and enable us by your Spirit to please you in word and deed, through Jesus Christ who saves us. Amen. It was with a heavy heart but complete understanding that we learned this morning of Pope Benedict’s declaration of his decision to lay down the burden of ministry as Bishop of Rome, an office which he has held with great dignity, insight and courage. 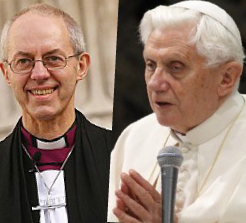 As I prepare to take up office I speak not only for myself, and my predecessors as Archbishop, but for Anglicans around the world, in giving thanks to God for a priestly life utterly dedicated, in word and deed, in prayer and in costly service, to following Christ. He has laid before us something of the meaning of the Petrine ministry of building up the people of God to full maturity. In his visit to the United Kingdom, Pope Benedict showed us all something of what the vocation of the See of Rome can mean in practice – a witness to the universal scope of the gospel and a messenger of hope at a time when Christian faith is being called into question. 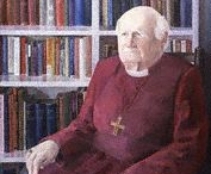 In his teaching and writing he has brought a remarkable and creative theological mind to bear on the issues of the day. 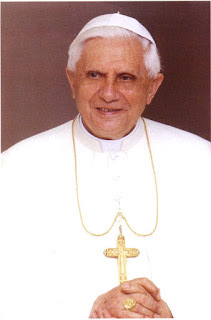 We who belong to other Christian families gladly acknowledge the importance of this witness and join with our Roman Catholic brothers and sisters in thanking God for the inspiration and challenge of Pope Benedict’s ministry. 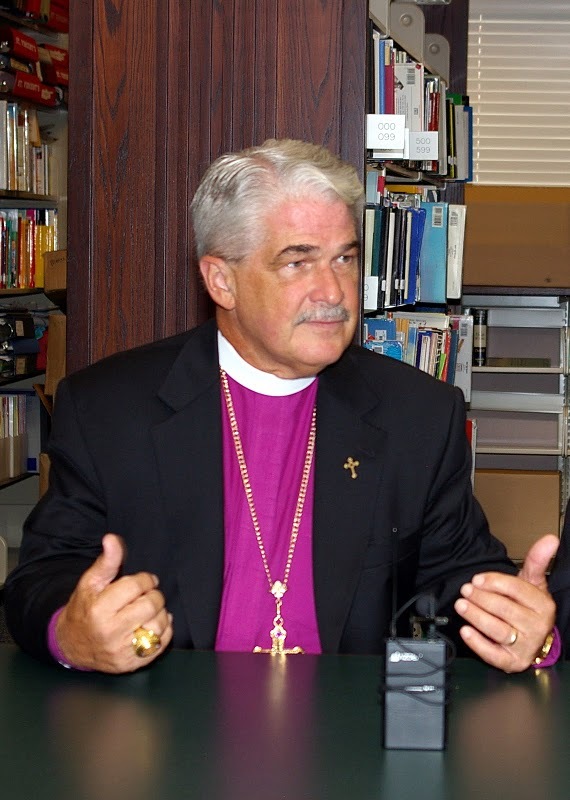 We pray that God will bless him profoundly in retirement with health and peace of mind and heart, and we entrust to the Holy Spirit those who have a responsibility to elect his successor. I have convoked you to this Consistory, not only for the three canonizations, but also to communicate to you a decision of great importance for the life of the Church. However, in today’s world, subject to so many rapid changes and shaken by questions of deep relevance for the life of faith, in order to govern the bark of Saint Peter and proclaim the Gospel, both strength of mind and body are necessary, strength which in the last few months, has deteriorated in me to the extent that I have had to recognize my incapacity to adequately fulfil the ministry entrusted to me. And now, let us entrust the Holy Church to the care of Our Supreme Pastor, Our Lord Jesus Christ, and implore his holy Mother Mary, so that she may assist the Cardinal Fathers with her maternal solicitude, in electing a new Supreme Pontiff. With regard to myself, I wish to also devotedly serve the Holy Church of God in the future through a life dedicated to prayer. The best known Christian prayer is the “Lord’s Prayer”, the “Our Father.” It is used at funerals, weddings, the opening of Parliament, and in just about every church service in the catholic family of Churches. In other words, Jesus expects that when we pray we will be penitential some of the time, admitting and confessing our sins. We may not be aware of what we consider a particularly vile sin or even an overly rebellious attitude towards God. But we all have areas of life that fall short of what they should be. A time of honest self examination will reveal to us our selfishness and our failure to love, especially in neglecting others, saying unkind or angry things, and harbouring judgmental and hurtful attitudes which, if left unchecked, can poison us on the inside. Without realising it, by neglecting penitence we can actually be working against what God is trying to do in the lives of those around us, and in our own lives as well. So, when we pause to reflect on these things in the penitential rite at Mass or as part of our daily self-examination, we give the Holy Spirit the opportunity to shine the light of his truth into our hearts. He shows us our sins, and we confess them so as to receive forgiveness, healing and cleansing, which in his love he is eager to give us. Following the teaching of Jesus, our regular times of prayer - just like the public worship of our Church communities - should include self examination and penitence. Of course, Lent, which begins this coming Wednesday, is a time when - in solidarity with all our brothers and sisters in Christ - we examine our hearts, our relationships, and our our response to God’s love, as we seek renewal and healing. 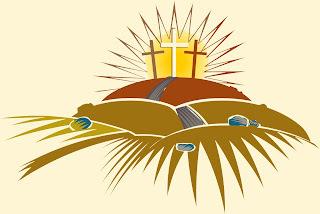 The special sacrament of forgiveness we have for dealing with sins of a serious nature (the “Sacrament of Reconciliation”), is a wonderful ministry of Jesus in which we confess our sins and allow his forgiving, healing love to touch those particular areas of our lives.The Church encourages us all to use this sacrament as Easter approaches, and to prepare ourselves for it during Lent. Over the years, I have discovered a great number of Anglicans who would dearly like to “go to confession” (as we used to call this sacrament) but who are prevented by the fear of the unknown. Some even hold back because they feel embarrassed about not having been before. If that’s you, contact a priest straight away. All you will find is acceptance, a warm welcome, and help in getting closer to the Lord as you draw on his forgiveness and healing for your life. (3) Yet the New Testament leads us still more deeply into the meaning of unity. It takes us behind the one race and behind the historical events to the Divine Unity from which they spring. “One Lord, one faith, one baptism, one God and Father of all” (Ephesians 4:5-6). The unity that comes to men through the Cross is the eternal unity of God Himself; a unity of love that transcends human utterance and human understanding. Before and behind the historical events there is the unity of the one God. This unity overcomes men and apprehends them through the Cross. “It does not mean that there is a calculable number of men who are at peace with themselves; it means that the oneness of God triumphs over the whole questionableness of the Church’s history.” ### Unity is God’s alone, and in Him alone can anything on earth be said to be united. (1) Christ’s people are the ekklesia, the one race precedes its various parts. (2) The people are united in the historical events of Jesus in the flesh. (3) Behind the people and the events there is the eternal unity of God. Thus the inward and the outward are inseparable, and the Church’s inward meaning is expressed in the Church’s outward shape and structure as the ekklesia wherein the parts depend upon the whole. 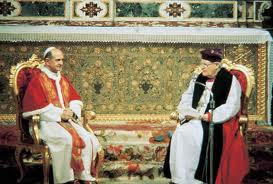 Archbishop Michael Ramsey paid a “solemn visit” to Pope Paul VI on 23 March 1966. The above is a photograph of his reception in the Sistine Chapel. On 24 March 1966, a Common Declaration was signed by Pope Paul VI and the Archbishop in a ceremony held at the Basilica of St Paul outside the Walls. We must investigate the nature of this unity, and ask what is its relation to the Gospel. Thus the use of the word ekklesia in itself tells us an important truth about unity. 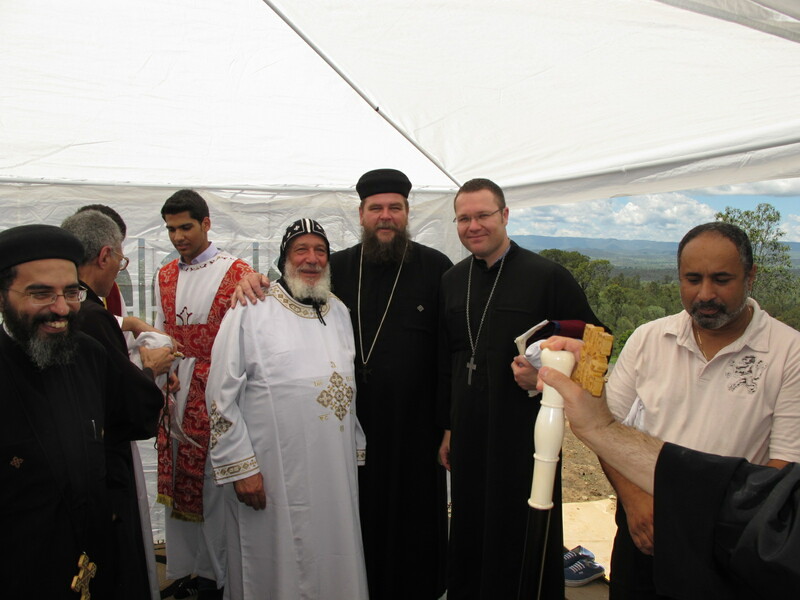 The one universal Church is primary, the local society expresses the life and unity of the whole. Fellowship is essentially fellowship with the historical events. No book in the New Testament is more emphatic in its teaching about the fellowship and love of the brotherhood than the First Epistle of St John; and no book is more insistent that fellowship springs from and bears witness to the events of Jesus in the Flesh. The events created the Fellowship and the fellowship mysteriously shares in the events. One particular book of great influence in the 20th Century was The Gospel and the Catholic Church by Michael Ramsey, published in 1936. It is still worth reading. By means of this book, and from within a truly Catholic vision, Ramsey - who went on to become the 100th Archbishop of Canterbury - enabled Catholic, Orthodox and Evangelical Christians to understand more of each other. A theological work, The Gospel and the Catholic Church is utterly Biblical and Patristic, but Ramsey’s typical style, disarmingly simple and therefore accessible to the specialist and non-specialist alike. In showing us the Christ the New Testament has taken us beyond His historical life and death into a region as hard to define as it is real to Christian experience. This region is described when the writer of Hebrews says, “Jesus Christ is the same yesterday and today, yea and forever” (Hebrews 13:8), and when St. Paul says, “Christ liveth in me” (Galatians 2:20). In this region of thought the word mystical at once suggests itself, and it is a word that has often been used to describe that union of the Christian with his Lord that is as real as was the union of the disciples in the days of His flesh. But in this region there lurks a subtle danger, since in it there is the temptation for a Christian to cling to the immediacy of his own experience of Christ, and so, in the very midst of the Body of Christ, to be ensnared into an individualism and self-satisfaction that belie the truth about the one Body. Against this danger the New Testament asserts two important safeguards: (1) the importance of the historical events of the life and death of Jesus in the flesh, and (2) the importance, to the individual member or group, of realizing that the one Body existed before his own conversion and has one continuous historic life in which he is called to share. (1) United with Christ as they are, the Christians will not interpret aright their present union with Him unless they constantly look back to the events whence it has sprung, and remember that these events, wrought once for all, are the source of everything that the Christians are and have and know. They are called upon not to advertise their own “experiences” but to praise God for, and to bear witness to, the historical events wherein the Name and the Glory of God were uttered in human flesh. The faithful Christian will not draw attention to himself as an interesting specimen of life in Christ, but dying to all interest in himself and his “experiences” he will focus attention upon the redeeming acts of Christ in history, as the centre of man’s prayers and praises for all time. In other words, the Church is Apostolic; it looks back to the deeds of Jesus in the flesh, and through these deeds it has been “sent” into the world. (2) From the deeds of Jesus in the flesh there springs a society that is one in its continuous life. Many kinds of fellowship in diverse places and manners are created by the Spirit of Jesus, but they all depend upon the one life. Thus each group of Christians will learn its utter dependence upon the whole Body. It will indeed be aware of its own immediate union with Christ, but it will see this experience as a part of the one life of the one family in every age and place. By its dependence upon the Church of history it will die to self-consciousness and self-satisfaction. And as with the group, so with the individual Christian; he will know his dependence upon the other members of the Body, wherein the relation of member to member and of function to function begets humility and love. The gifts that he possesses belong to the Body, and are useful only in the Body’s common life. Thus through membership he dies to self-sufficing, and knows that his life in Christ exists only as a life in which all the members share. In these two ways the Christians will forget themselves and bear witness to the redemption wrought once for all and to the society in which men die and rise.# In later language the Church is called “Apostolic” (sent by the one Redeemer in the flesh) and “Catholic” (living one universal life); and both these notes of the Church are essential to its existence as expressing the Lord’s death and resurrection, wherein its “Holiness” consists. By his place in the Body the Christian finds the Gospel of death and resurrection active around and through him. To “believe one holy Catholic and Apostolic Church” is to die to self. # These points are illustrated by St Paul's life and writings. It is impossible to belittle his own special experiences and the independence which he claims in loyalty to them (Galatans 1:1, 16-17; 2:11; 1 Corinthians 9:1-2, etc.). Yet he knows that these things would betray him, were it not for his sense of debt to the older Apostles as witnesses to the Flesh of Jesus (1 Cor. 15:1-8); and (b) his sense of the Church’s continuity from them (1 Corinthians 1:1-2; 14:36; Ephesians 2:20).